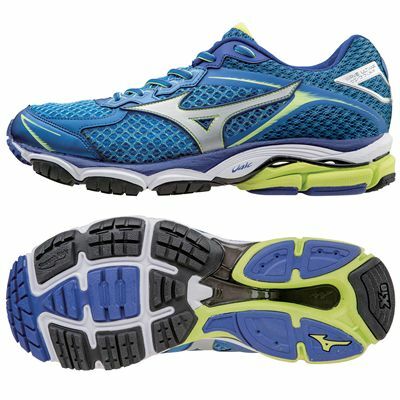 The Mizuno Wave Ultima 7 are all-round performance, neutral men’s running shoes with a comfortable and very breathable AIRmesh upper. The 290g (10.2oz) trainers use the motion-capture Dynamotion™ Fit to let your feet move more naturally and the midsole is designed with Mizuno Wave® to give more comfort and stability. It is an upgraded U4ic X midsole with improved amounts of cushioning and comfort and more rebound, and comfort is enhanced by the removable Premium Insock and the Intercool ventilation system that counters heat and humidity. The outsole boasts SmoothRide technology which improves the smoothness of your motion and durable carbon rubber X10 material reinforces the high-impact areas and offers better grip. for submitting product review about Mizuno Wave Ultima 7 Mens Running Shoes.